WEISBERGER R. William, Dennis UPCHICK, and David L. ANDERSON — Profiles of Revolutionaries in Atlantic History, 1700–1850. CHILTON, Lisa — Agents of Empire: British Female Migration to Canada and Australia, 1860s–1930. PIQUERAS, José A., and Vicent SANZ ROZALÉN (eds.) — A Social History of Spanish Labour: New Perspectives on Class, Politics and Gender. 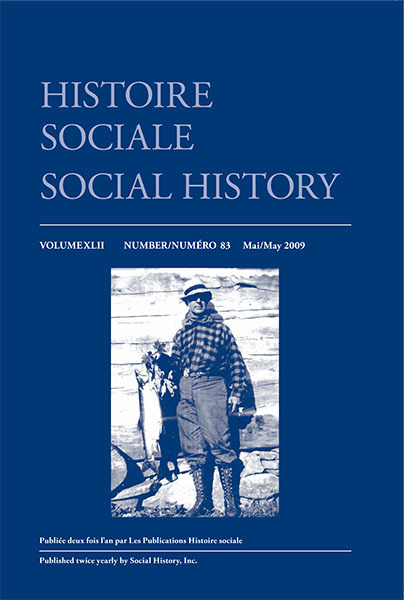 DUMMITT, Chris — The Manly Modern: Masculinity in Postwar Canada. FAURE, David — Emperor and Ancestor: State and Lineage in South China. MADIGAN, Kevin — The Passions of Christ in High-Medieval Thought: An Essay on Christological Development (Oxford Studies in Historical Theology). HAYES, Geoffrey, Andrew IAROCCI, and Mike BECHTHOLD (eds.) — Vimy Ridge: A Canadian Reassessment. BRONSTEIN, Jamie L. — Caught in the Machinery: Workplace Accidents and Injured Workers in Nineteenth-Century Britain. CHASTKO, Paul — Developing Alberta’s Oil Sands: From Karl Clark to Kyoto. JEFFREYS-JONES, Rhodri — The FBI: A History. ELEY, Geoff, and Jan PALMOWSKI (eds.) — Citizenship and National Identity in Twentieth-Century Germany. ZIPF, Catherine W. — Professional Pursuits: Women and the American Arts and Crafts Movement. BLAKE, Raymond B. (ed.) — Transforming the Nation: Canada and Brian Mulroney. MARSHALL, Peter — Mother Leakey and the Bishop: A Ghost Story.